Ana-Marija Markovina is an authentic and unconventional artist. The classical music business has gotten tougher each year, but Ana-Marija Markovina has maintained her point of view that music needs freedom and that it can only flourish when it is willing to take uncalculated risks. Music is inseparable from the individuals who compose it. Badura-Skoda gave her important insights in all facets of piano literature, such as the technical perfection of the Russian school or the formal traditions of the Viennese school. 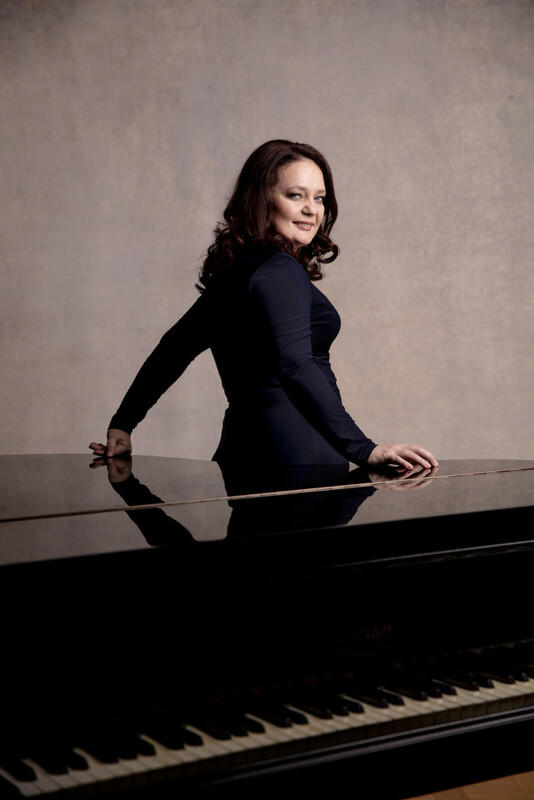 She has appeared as soloist with many orchestras in Germany and abroad such as the Oulu Symphony Orchestra in Finland, the Szczecin Philharmonic Orchestra in Poland, the Philharmonic Orchestra in Kaliningrad, the Radio Philharmonic Orchestra Bukarest and the New Japan Philharmonic Orchestra. Her debut in Japan took place during the International Piano Festival in Yokohama, after which she was invited to all major Japanese music centers. She was a guest at important festivals including Bach-Wochen Ansbach, Hamburger Bachfest, Schleswig-Holstein Musikfestival, Klavier-Festival Ruhr, Hohenloher Musiksommer, Beethovenfest Bonn, Musikfesttage Frankfurt an der Oder, Brandenburgische Sommerkonzerte, Festspiele Europäische Wochen Passau, International Piano Stars Festival in Latvia and the Festival Estoril in Portugal. Beethovenhalle Bonn, Prinzregententheater and Herkulessaal München, Liederhalle Stuttgart, Meistersingerhalle Nürnberg, Glocke in Bremen and many more. She played abroad in the important halls of i.e. Vienna, Rome, Milan, London, Amsterdam, Luxembourg, Bucharest, Sofia, Thessaloniki, St. Petersburg, Kiev, Taschkent, Managua, San Salvador, Panama, Mexico, Guatemala, San José, Chicago, Washington DC, Tokyo, Kyoto, Osaka, Nagoya, Sapporo and in additional 20 countries. There are many surprises amongst her numerous CD recordings, such as the world premiere recordings of the complete piano works of Hugo Wolf, Louise Adolpha Le Beau and Anton Urspruch (Genuin) and of Engelbert Humperdinck’s four-hand version of Wagner’s Parsifal (Gramola with C. Garben). Carl Phillip Emanuel Bach’s musical cosmos has been at the center of her pre-occupations for years. This fascination resulted in her recording of his complete work for piano on 26 CD’s, which appeared on Hänssler Classic in February 2014 for the 300th birthday of the composer. The CD-box met with an enormous resonance at home and abroad. It was celebrated worldwide as a milestone of recording history and was awarded the Preis der Deutschen Schallplattenkritik in May 2014. Numerous radio and television appearances in Germany, North and South America, Russia and Asia, recordings and CD productions (Hänssler Classic, Sony Classical, Gramola, Marc Aurel, Genuin etc.) complete her profile. Ana-Marija Markovina is currently preparing, among other projects, recordings of the complete solo piano works of Anton Bruckner and Felix Mendelssohn Bartholdy, as well as the piano concertos by Edvard Grieg and Franz Berwald, whose 150th anniversary is in 2018. 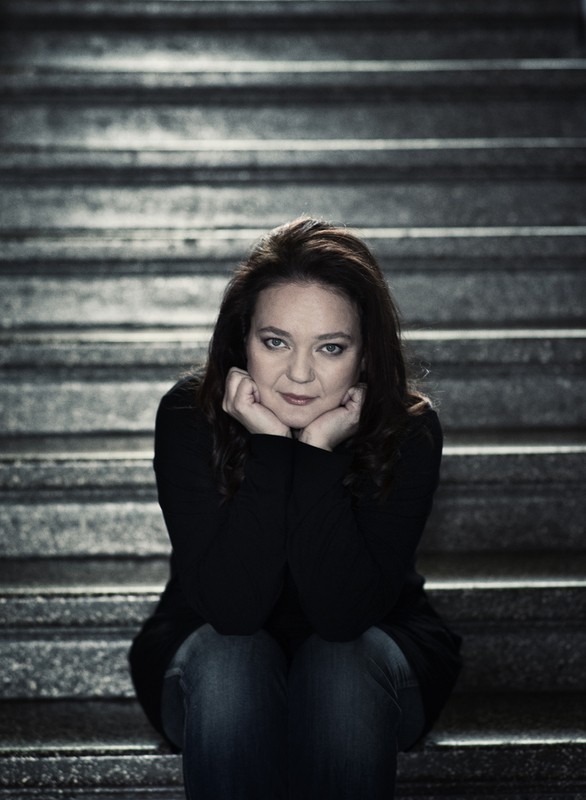 This year’s special highlight was on October 8th Ana-Marija Markovina’s performance under the Reichstag dome in Berlin, where she premiered the variations on the German anthem of the German composer Stefan Heucke, and her release of the complete piano works of Anton Urspruch. Shortly after its release, this CD box was nominated for the German Record Critics‘ Award. Ana-Marija Markovina is a passionate teacher. Her international master classes attract worldwide many participants. Her exceptional sensibility permits her to grasp at once the personality and the capacities of her students. Ana-Marija Markovina believes that the interpretation of music is at the same time an analysis of the psychology of its creators and thus a reflection on the soul of their works. She maintains close contacts to international research on creativity and the mind. She is writing a book about the psychological, philosophical and neuro-psychological foundations of piano playing. In collaboration with Professor Helmut Reuter, a leading authority in the field of musical and cultural psychology, she has organized a series of lectures on „Psychology and Music“ – offering her listeners entirely new perspectives on the works she performs. Please only use this biography. Please contact the agency before making any changes or deletions. Please visit the the artists‘ homepage for further information. Urspruch’s piano music is of extreme difficulty and his small output had remained almost totally ignored since his early death at the age of 56. […] This is young man’s music, full of power and passion. […] There is plenty for the pianist to do here as the level of virtuosity is ferocious. […] There are huge runs and octaves, leaps and tremelandos all going on here at the same time as the opening theme is amplified and augmented to something really quite remarkable. […] sometimes it is hard to believe that only one pianist is playing […] This is an incredible piece and really demands to be heard, especially with a pianist as talented as this. Wow! The ‘Cavatine and Arabeske’ […] are later works, the writing is simpler although there are plenty of little technical problems which could trip up the pianist – but obviously don’t here. The ‘Cavatine’ is particularly delightful and whimsical and is fantastically played. […] Obviously, Ana-Marija Markovina is more than capable with coping with these apparently sudden changes in mood and the whole thing holds together very well. Again, this is genial and appealing music with plenty of interesting detail. [It] is a fascinating […] creation and […] a very enjoyable listen. This is an excellent disc! Urspruch wrote some memorable and interesting music and really deserves to be heard more often and I am very glad that someone has taken up the mantle of playing his works. 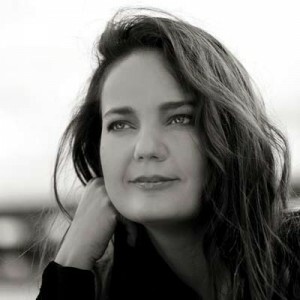 Ana-Marija Markovina is more than capable of dealing with the sometimes extreme technical demands which this composer makes of his performer plus she is able to play with a lovely singing tone where required. […] The superb recorded sound helps the clarity of the notes and the beauty in the music stand out. She clearly enjoys playing these works and always seems to be aware of what the music is about. 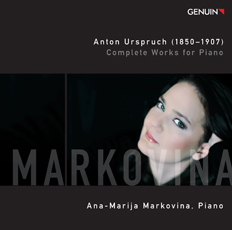 I really wish that Urspruch had written more solo piano music so that there would be more for Ana Marija-Markovina to record. Ana-Marija Markovina nimmt sich der Werke technisch versiert und kundig gestaltend auf einem sehr rund und warm klingenden Flügel an. Diese meisterhafte Klaviermusik der Romantik stammt nicht von Brahms, Mendelssohn oder Schumann, sondern von Anton Urspruch. Nie gehört? Einer seiner Lehrer war kein Geringerer als Franz Liszt! Liszt förderte und schätze den jungen Urspruch sehr. Nicht nur als Pianisten, sondern vor allem als Komponist. Neben zwei Opern schrieb Urspruch zahlreiche Lieder, Kammermusik und zahlreiche Werke für Klavier. Die erste Gesamtaufnahme seiner Klaviermusik – fast drei Stunden Musik – ist jetzt erschienen mit der Pianistin Ana-Marija Markovina. Wie das klingt? Hochromantisch, virtuos und raffiniert gesetzt. Typisch für diese Stücke ein stetiges Auf und Ab in der Musik,. Echte Perlen, die sicherlich nicht nur was zum Hören sind sondern vielleicht auch für passionierte Klavierspieler zum Selberspielen. Die Auswahl ist groß, denn zum Werkverzeichnis von Anton Urspruch gehören viele kurze Stücke wie Fantasien und Tänze. Fazit: Eine echte Entdeckung. Romantische Klänge, die für viele Musikliebhaber bisher unbekannt sind. Schade, denn gerade das Werkverzeichnis der Klaviermusik von Anton Urspruch bietet vor allem kurze Stücke mit ganz unterschiedlichen Charakteren. Die präsentiert Pianistin Ana-Marija Markovina Stück für Stück ganz prägnant, mit viel Phantasie für diese romantischen Klänge. Ein Hörerlebnis! Die Weltklasse-Pianistin Ana-Marija Markovina aus Köln gastierte im Altensteiger Bürgersaal. […] Als tiefgründige und forschende Interpretin ging Markovina die repräsentativen Werke aus drei Epochen auf ihre besondere Weise an, indem sie Hintergründe der stilistisch unterschiedlichen Musikstile und Charaktermerkmale der Komponisten aus dem historisch-psychologischen Blickwinkel beleuchtete. Den gemeinsamen Nenner der Interpretationslinie bildeten die profunden Kenntnisse der Musikliteraturgeschichte, Vorstellungskraft sowie virtuose Klaviertechnik, authentische Emotionalität und kontrastreiche, in ihrer Vielfalt geradezu kühne Dynamik. […] Mit beinahe grenzenloser Hingabe, fast schlafwandlerisch und doch expressiv, wechselte Markovina die Spannungsintensität, von inniger Zärtlichkeit bis zu stürmischen Leidenschaftsausbrüchen im schier hemmungslosen Fortissimo.Die Publikumsresonanz spiegelte sich im ausgiebigen Applaus, da die Zuhörer keinen spannungsfreien Moment erlebten. […]In der Klaviersonate F-Dur Nr. 12 von Wolfgang Amadeus Mozart porträtierte Markovina den Komponisten als einen genialen, jedoch ungeduldigen, schnelllebigen und launenhaften Zeitgenossen. Mitten in liebliche Kantilene oder als Kontrast zum sanften Thema (1. Satz) vermochte sie vielsagende Akzente einzusetzen, andererseits unterbrachen Momente der fast philosophischen Nachdenklichkeit die virtuosen Kaskaden des finalen Satzes. […] Mehrmals unter stehendem Applaus auf die Bühne zurückgerufen, […] krönte sie ihren beeindruckenden Konzertabend mit der virtuosen Konzertetüde f-Moll „La leggierezza“ von Franz Liszt. […] Die Pianistin Ana-Marija Markovina stimmt das Publikum im spärlich erleuchteten Saal zunächst auf ihr Programm ein und gibt sachkundig Erläuterungen zu den Werken, die sie sich für ihr rund eineinviertelstündiges Konzert ausgesucht hat. Zu Gehör bringt sie zunächst Perlen aus den Schatztruhen von Chopin, Liszt und Mozart.Mit Beethovens »Apassionata« (»meine Lieblingssonate«) lässt Markovina ihr Konzert fulminant ausklingen. Da bricht sich die Leidenschaft Bahn und rauscht gewaltig durchs Trommelfell. Die Gefühlswallung scheint zu eskalieren, bis der Meister ihr endlich doch Einhalt gebietet. Prasselnder Beifall und Bravorufe. Die Pianistin Ana-Marija Markovina entdeckt auf ihrem aktuellen Solowerk einen bemerkenswerten Komponisten neu. [Anton Urspruch] war Freund und Lieblingsschüler Franz Liszts. Später genoss der Komponist und Lehrer aus Frankfurt internationalen Ruf. […] Das Schicksal, bald nach seinem Tod vergessen zu sein, teilt der Spätromantiker […] mit vielen Künstlern […]. […] Anton Urspruch (1850–1907) studierte in Frankfurt bei Joachim Raff und war ein Protegé von Franz Liszt. Der Pianist, Dirigent und Komponist gehörte auch […] zur Elite der virtuosen Salon- und Konzertkultur des reifen 19. Jahrhunderts. Die Pianistin Ana-Marija Markovina schwebt und schwelgt im klanglichen Raffinement von Urspruchs melodischen Reizen: Sie haucht in den Cinq Marceaux über die Tastatur und zeigt damit Urspruchs heimliche Neigung für Chopin. Die Fünf Fantasie­stücke weisen den Komponisten als Klangromantiker aus, der sich in Schönheitstrunkenheit nach der Veredelung des musikalischen Gedankens verzehrt. Ana-Marija Markovina zeigt das mit einem eindrucksvollen Gestaltungswillen. Und in Urspruchs Miniaturen der Deutschen Tänze legt sie die betörend süße Sehnsucht nach der verlorenen Einfachheit. Ein empathisches Credo für den fast Vergessenen. […] Die Pianistin Ana-Marija Markovina stimmt das Publikum im spärlich erleuchteten Saal zunächst auf ihr Programm ein und gibt sachkundig Erläuterungen zu den Werken, die sie sich für ihr rund eineinviertelstündiges Konzert ausgesucht hat. Zu Gehör bringt sie zunächst Perlen aus den Schatztruhen von Chopin, Liszt und Mozart. Mit Beethovens »Apassionata« (»meine Lieblingssonate«) lässt Markovina ihr Konzert fulminant ausklingen. Da bricht sich die Leidenschaft Bahn und rauscht gewaltig durchs Trommelfell. Die Gefühlswallung scheint zu eskalieren, bis der Meister ihr endlich doch Einhalt gebietet. Prasselnder Beifall und Bravorufe. Der Pianist und Komponist Anton Urspruch (1850-1907) scheint Ana-Marija Markinova ans Herz gewachsen zu sein. Regelmäßig spielt sie seine Werke im Konzert, und nachdem die Pianistin 2011 eine erste CD mit Urspruch-Werken für Genuin eingespielt hatte, bringt sie nun mit ein weiteres Album bei Hänssler heraus. Anton Urspruch gehört zu jenen Komponisten, die zu Lebzeiten hohe Anerkennung genossen, deren Ruf dann aber allmählich im Schatten berühmterer Zeitgenossen verblasste. Bei Unspruch war es in erster Linie Franz Liszt, dessen Schüler er war. Manches in Urspruchs Musik verleugnet den Lehrer nicht. Dennoch sind es gerade die Eigenheiten von Urspruchs Musik – der Sinn für Form und Gestaltung, sein Gespür für Stimmungen, für melodische Linien einerseits und komplexe Strukturen andererseits, die Ana-Marija Markovina mit größter Hingabe und Einfühlung herausarbeitet. Es ist ein inniges Plädoyer für einen zu Unrecht Vergessenen der Musikgeschichte. 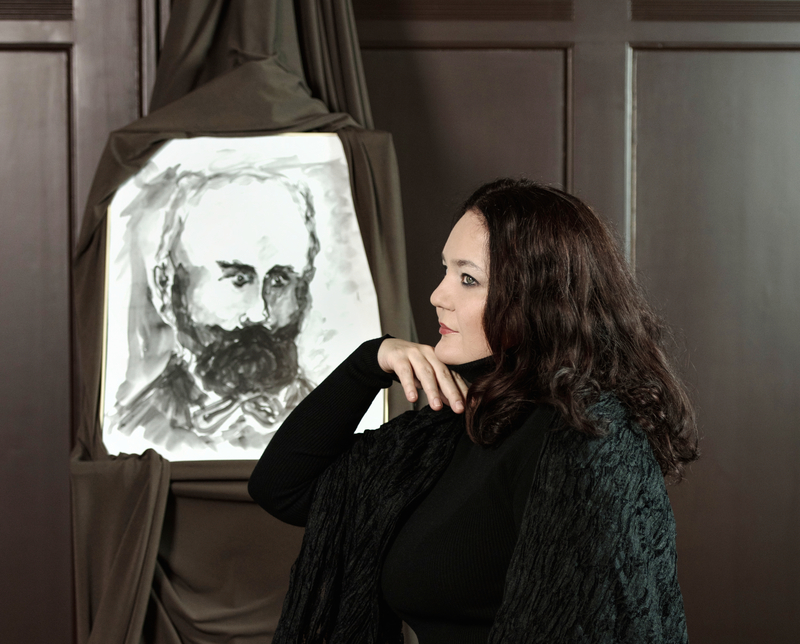 Ana-Marija Markovina returns to the Liszt pupil Anton Urspruch, and her analytical as well as highly sensitive performances are a convincing advocacy for Urspruch’s music. […] mit Ana-Marija Markovina gastierte eine Konzertpianistin in der Zollernstadt, der die großen Bühnen der Welt bekannt sind. Und das kommt nicht von ungefähr. Mit ihrer Virtuosität, ihrer gefühlvollen Art, die Tasten ihres Instruments zu streicheln, und ihrem ganzen Auftreten verkörpert sie die Grandezza der klassischen Musik. […] Mit dem „Konzert für Klavier und Orchester Nr. 25 C-Dur KV 503“ folgte der erste gemeinsame Auftritt von Pianistin und Kammermusikern. […] Der erste Satz, Allegro maestoso, ist der längste Konzertsatz, den Mozart je geschrieben hat. Die feierliche, großsymphonische Einleitung durch das Orchester ebnet den Weg für den Einsatz des Klaviers und damit für den großen Auftritt von Pianistin Ana-Marija Markovina. Obwohl das Orchester immer wieder seine Präsenz zur Entfaltung brachte, lag der Fokus doch auf der Pianistin, die auf spielerisch leichte Weise komplexeste Passagen meisterte. Ihr vollendetes Spiel brachte sie dort dezent ein, wo die Komposition Zurückhaltung verlangt, während perlende, dynamische Klavierwelten an den Stellen dominierten, wo ihrem Instrument alle Entfaltungsmöglichkeiten gegeben waren. In der Stadthalle Museum ist die Meisterhaftigkeit Mozarts zu spüren. Klassik macht Spaß. Diesen Eindruck vermittelte am Freitag der Mozartabend in der Stadthalle Museum. Mit der musikalischen Umsetzung war das Publikum zurecht rundum zufrieden. Nicht nur wegen der hochprofessionellen Ausführungen der Kölner Pianistin, […] Ana-Marija Markovina ist eine versierte Pianistin […] Sie ist so bewandert auf ihrem Instrument, dass sie meist auswendig interpretiert. Die beiden von der Pianistin gespielten Werke standen in der Aussage konträr gegenüber und wurden von Markovina klangrein und natürlich fehlerfrei interpretiert. Durch Griegs Kosmos arbeitet sich beim 1. Sinfoniekonzert des Landessinfonieorchesters in Flensburgs Deutschem Haus die kroatische Pianistin Ana-Marija Markovina. Zwar spielte der Komponist hier nicht explizit auf die magischen Figuren seiner Heimat an. Doch wurde der – von Markovina wunderbar zart und innig gespielte – Adagio-Satz oft als Eintauchen in die Elfenwelt gedeutet. Das Finale mit seinen rhythmisch markanten, typisch norwegischen Springtanzfiguren weckt bei vielen die Assoziation von Trollen. Dagegen spielt die Eröffnung mit ihren abfallenden Akkordkaskaden auf Griegs großes Vorbild Robert Schumann an. Markovina beherrscht hier durchaus die große virtuose Geste, […] Zugleich weiß die Pianistin sich aber klug zurückzunehmen und die Zahlreichen Solostimmen des Orchesters mit ihren Appregien zart zum umschmeicheln. So gelingt ein inspirierendes musikalisches Miteinander. „Zu Beginn […] gestaltete Ana-Marija Markovina das Werk mit viel Temperament. Dabei kamen sowohl Griegs Vorbild, Robert Schumann als auch Griegs Inspirationsquelle, die norwegische Volksmusik gleichermaßen zu ihrem Recht: vor allem im ersten Satz, der voller Energie ist, aber immer wieder auch eine Art nordische Melancholie durchscheinen lässt. In der Solo-Kadenz zeigt die Pianistin darüber hinaus ihre eigene Gestaltungskraft. Nach dem lyrischen zweiten spielt sie im dritten Satz die Folklore in den Vordergrund. Im ersten Satz nur angedeutet, übernimmt nun der norwegische Springtanz Hailing das Kommando. Der Satz endet in hochdramatischer Spannung. Mit ihrem Klavierabend vor allem mit Werken von Carl Philipp Emanuel Bach im Bürgerhaus Pullach hat Ana-Marija Markovina Begeisterungsstürme ausgelöst. In Kroatien geboren berücksichtigte die hochrenommierte Pianistin das Klavierwerk des bekanntesten Sohns von Johann Sebastian Bach – einem experimentierfreudigen Erneuerer, dem Markovina „verfallen“ ist, wie sie in Pullach bekannte. Mit Äußerungen wie „Ich liebe die Musik dieses unerreichten Meisters“ oder „Ich spiele dieses Stück jedes Mal anders“ unterstrich sie ihr Bekenntnis zu dem als biederen Kammercembalisten verkannten Meister, der den Alten Fritz 28 Jahre bei privaten Flötenkonzerte begleitete, ohne je befördert zu werden. Zu Carl Philipp Emanuel Bachs 300. Geburtstag im Jahr 2014 spielte Markovina das Klavierwerk auf 26 CDs ein und wurde dafür mit einem Preis der Deutschen Schallplattenkritik ausgezeichnet. Bach schätzte Fantasien als „Freies Phantasieren“, nicht an feste Regeln und Schemata gebunden. Mit dem Hinweis, er setze die Takteinleitung unerwartet über längere Strecken aus, begann Markovina mit der „Fantasie“ fis-Moll W.67, ein Adagio mit dem Untertitel „Carl Philip Emanuel Bachs Empfindungen“. Sie wechselt von Akkorden und Läufen, ungebärdiger als bei Haydn, zu liebenswürdigen Passagen. Auch bei der Fantasie C-Dur W.59/6, ein Allegro Moderato, setzt Markovina zwischen dem Laufwerk Akzente als Halt – ein virtuoses Spiel voll Verzierungen. Da war es wieder, „das Sprechende, das hurtig Überraschende von einem Affekte zum anderen“, wie es Bach in seinem „Versuch über die wahre Art das Clavier zu spielen“ zu Papier gebracht hat. Bei ihrer Sonaten-Auslese lies es Markovina bei der in c-Moll W.65/31 (1757) im Allegro assai ma pomposo donnern, entsprach dem Andantino pathetico mit punktiertem Rhythmus und endete mit Allegro scherzando. Bei der ersten der „Preußischen Sonaten“ F-Dur (1742) zeigt sie, wie Bach das Poco Allegro als zweistimmige Invention in der Art des Vaters beginnt und das Andante mit Rezitativ und Arioso zur Opernszene ausbaut, gefolgt vom fröhlichen Vivace. In der ersten der dem Herzog von Württemberg gewidmeten Sonaten a-Moll (1744) begegnen scharfe Dissonanzen und unerwartete Pausen. Furios stürmte sie durch das Allegro-assai-Finale, von Bach „Wutausbruch“ genannt. Die weniger schwere „Damensonate“ A-Dur gefiel als helles, verspieltes Allegro di molto, wunderschönes Larghetto und launiges Allegretto. Rondeaus, die Bach den Sonaten als Auflockerung beifügt, waren ein weiteres Experimentierfeld, Rondos nannte er sie als erster. Am kontrastreichen Rondo a-Moll und am volksliedartigen G-Dur verdeutlichte sie den kunstvoll variierenden Refrain (Kehrreim). Mit den 12 „Variationen über Folies d’Espange“ rundete sie die Auslese berührend ab. Dem empfindsamen Stil seiner Zeit entsprechen Bachs heftige Stimmungsschwankungen, ausgedrückt in exzentrischen Pausen und abrupten Melodiewechseln, eine teils zusammenhangslose Folge von Einfällen. Wirkte Carl Philipp Emanuel auf die Wiener Klassik als ein Katalysator, so fand er in Franz Liszt, der als experimentierfreudiger Klaviervirtuose mit kühner Harmonik über die Romantik hinauswies, sogar eine Entsprechung. So erinnerte die Pianistin am Ende bei Liszts Dante-“Fantasia quasi Sonata“ mit vereinzelten Akkorden als Rufmotiv sowie schreien, Seufzern und dem Choral der Verdammten an Bach. Mit Liszts Paraphrase über das Quartett aus Verdis „Rigoletto“ endete Markovina unterhaltsam und fand bei Sonaten von Scarlatti als umjubelte Zugabe wieder zurück zu Barock. Ana-Marija Markovina ist eine bemerkenswerte Künstlerin. 1970 in Osijek (Kroatien) geboren, studierte sie bei so berühmten Lehrern wie Vitaly Margulis, Anatol Ugorski oder Paul Badura-Skoda und bewegte sich schon bald bei ihrer Werkauswahl abseits ausgetretener Pfade. Alleine ihre Diskographie nötigt Achtung ab: Da steht die Weltersteinspielung des Gesamtklavierwerks von Hugo Wolf neben Engelbert Humperdincks vierhändiger Fassung von Wagners „Parsifal“ und – ausgezeichnet mit dem Preis der deutschen Schallplattenkritik – das gesamte Klavierwerk von Bach-Sohn Carl Philipp Emanuel (1714-1788) – auf 26 CDs. Daraus präsentierte die Pianistin im Rahmen von „Klavier extra“ in der gut gefüllten Paterskirche einen kleinen Ausschnitt, der jedoch so ausführlich geriet, dass nicht alle Besucher bis zum Konzertende blieben. Das war zwar verständlich, andererseits aber bedauerlich, denn die interessanten Informationen und das facettenreiche, engagierte Spiel Markovinas lohnten die Geduld. „Ich bin süchtig nach der Musik dieses häufig unterschätzten Bach-Sohnes, der oft fälschlich lediglich als braver Kammercembalist Friedrichs des Großen apostrophiert wird“, so die Pianistin. „Dabei war er ein Revolutionär, der sich über kompositorische Konventionen hinwegsetzte und um der Expressivität willen auch vor skurrilen Harmonieverbindungen, gewagten melodischen Wendungen und Überraschungseffekten nicht zurückschreckte“. Vieles in Philipp Emanuels Schaffen ist so schwer zu spielen, dass er schon im Vorhinein wusste, es lasse sich nicht verkaufen. Manchmal überwand er sich, weniger Kompliziertes zu schreiben, beispielsweise eine „Damen-Sonate“ oder „Kleine Stücke“. Beides erklang unter anderem an diesem außergewöhnlichen Abend, und die Pianistin wusste die von ihr so geliebten Werke mit beispielhafter Intensität, makellosem technischem Vermögen und unerschöpflichem Farbenspektrum zu vermitteln. Darauf legt sie besonderen Wert, denn die Klangdifferenzierungen, die der Komponist zu seinen Lebzeiten mittels des Clavichords, eines Vorgängers des Klavieres, erreichte, sind unerlässlich. Das betrifft vornehmlich die langsamen Sätze, für die der Tonsetzer traumschöne Melodien ersann. Markovina stellte eine Reihe Sonaten, diverse Rondos und mehrere Fantasien vor – namentlich bei Letzteren ließ der Komponist seinen Ideen freien Lauf. Den Abschluss bildete der Finalsatz der „Württembergischen Sonate a-Moll“, ein „Allegro assai“, das einen Wutausbruch darstellt. Doch das Publikum teilte die Wut nicht – es applaudierte ausdauernd und erhielt noch eine Zugabe. Radikale Individualisten, radikale Programmänderung und alles noch besser als gedacht. Im gediegenen Klassikbetrieb fallen Begriffe wie radikal, verstörend oder gar exzentrisch recht selten und sind in der Regel für die Avantgarde reserviert. In der Paderhalle gastierte die 1970 geborene Pianistin Ana-Marija Markowina und stellte im ersten Teil ihres Programms einen Komponisten vor, den alle zu kennen glauben, doch irgendwie dann doch nicht, schon gar nicht wegen seiner Radikalität. Die Rede ist von Carl-Phillip Emanuel Bach, Johann Sebastians zweitältestem Sohn, zu seiner Zeit ein Superstar unter den Komponisten, später nahezu vergessen. Ana-Marija Markowina behauptet schlicht, dieser Bach habe ihr Klavierspiel verändert, die Musikwelt revolutioniert und kenne keine Regeln, keine Harmoniegesetze und keine Grenzen. Was für den engagierten Durchschnittsklavierspieler schwer zu begreifen ist, wo doch Johann Sebastian über Jahrhunderte die polyphonen Maßstäbe setzte und die Werke des Sohnes mit ihren oft so simplen Dreiklangsbrechungen nicht ganz ernst genommen wurden. Ana-Marija Markowina sieht das anders und rückte in einem gut 50-minütigen Programm sämtliche Facetten des verkannten Meisters in den Fokus. Dass der Ablauf des ersten Teils von der Pianistin komplett geändert wurde, konnte dem leider recht spärlich erschienen Publikum herzlich egal sein, Carl Philipp Emanuel kennt man kaum, da ist es unerheblich, ob nun die Freie Fantasie fis-Moll oder die Fantasie II erklingt. Klar wird jedoch, dass die engagierte Pianistin an der klanglichen Befreiung dieser Musik mit jedem Ton kämpft und deutlich macht, dass hier nicht nur die engen Grenzen des Cembalos gesprengt werden, sondern auch die der Rezeption. Akkordspiel in sämtlichen klanglichen Abstufungen, sensibler Pedalgebrauch, gedehnte Pausen, es ist der Geist der Romantik, der sich aus den alten Klängen schält und damit der Geist des pianistischen Virtuosentums, das sich in dieser Form erst viel später entwickeln wird. Ganz besonders deutlich im Schlussstück des ohne Pause und Applaus durchgespielten ersten Teil des Abends, dem Moderato aus der Sonate a-Moll Wq 49 Nr. 1, dessen hintergründige Spritzigkeit das Publikum begeisterte. Dass Modest Mussorgski als radikaler Individualist gilt, war eigentlich schon bekannt, doch Ana-Marija Markovina setzt auch dem altbekannten „Bilder einer Ausstellung“ noch ein paar Freiheitsgrade zu. In ihrer Anmoderation bekennt sie sich zur konkreten Umsetzung der Bilder, von denen nur sechs erhalten blieben. „Baba Yaga ist wirklich eine böse Hexe!“, was mehr als deutlich wurde in einer Interpretation, die selbst die weiten Grenzen der „Bilder“ sprengte. Eine pianistische Eruption, die die enormen technischen Anforderungen an diese Musik vergessen ließ und scheinbar mühelos noch die letzten Möglichkeiten des Programms auslotete. Irgendwie schien die Pianistin aus Mussorgskis Zyklus, der andere bis an die Grenze fordert, neue Kraft geschöpft zu haben. Scheinbar mühelos legte sie zwei hochvirtuose Zugaben nach und machte den Eindruck als könne sie noch ewig so weiter spielen. Für die Heutigen steht er im Schatten seines Vaters, für die Menschen des 18. und frühen 19. Jahrhunderts war er DER Bach: Carl Philipp Emanuel, zweitältester Sohn des Meisters. Die Pianistin Ana-Marija Markovina zeigte beim Récital in der Ansbacher Orangerie, worauf sich wohl die Popularität dieses Ausnahme-Komponisten gründete. Carl Philipp Emanuel Bach war ein Mensch des Übergangs, der musikalischen Zeitenwende vom Barock zur Wiener Klassik. Die Zwischenepoche belegt man gerne mit dem wohlfeilen Begriff „Empfindsamkeit“. Allein: „CPE“ Bach ist alles andere als ein typischer Vertreter jenes Stils. Was Markovina deutlich herausarbeitet, zumal sie zu kei- ner Sekunde mit den Chiffren und Konventionen der Histori- schen Aufführungspraxis flirtet, sondern die Möglichkeiten des modernen Steinway-Flügels bis zum Anschlag auslotet. Und sie beginnt mit dem späten Carl Philipp Emanuel, mit der ein Jahr vor seinem Tod ent- standenen fis-Moll-Fantasie von 1787 (Wq 67). Ein hinterfragtes, nachdenkliches Kaleidoskop der Emotionen, wie es auch Frédéric Chopin in seinen frühen Jahren geschrieben haben könnte. Ana- Marija Markovina, die vor nicht langer Zeit eine Gesamteinspie- lung der Klavierwerke Carl Philipp Emanuel Bachs vorgelegt hat, arbeitet in dieser Fantasie wie auch in den folgenden Stücken ihres Soloprogramms mit starken, manchmal fast zu harten Kontrasten, riesigen Dynamiksprüngen und wie in Stein gemeißelter Artikulation. Dadurch gewinnt selbst das Unspektakuläre an Dramatik, beispielsweise das im paraphrasierten Volksliedton gehaltene G-Dur-Rondo von 1780 (Wq 57,3). Mit der c-Moll-Sonate aus der „Vollständigen Sammlung aller ungedruckten Clavier-Sonaten“ von 1757 zeigt Ana-Marija Markovina, wie man Musik zwischen den Zeiten effektvoll inszenieren kann: mit hochgetürmten Affekt-Gebirgen, donnernden Ostinati, bei denen der Vergleich mit einer Löwinnenpranke im wahrsten Wortsinn hinken würde. Hier donnert ein Expresszug vorbei – und das ein Dreivierteljahrhundert vor der Fahrt der ersten Eisenbahn. Diesem fast avantgardistischen Kompositionsansatz stellt Markovina Werke wie die F-Dur Sonate aus den „Preußischen Sonaten“ (Wq 48,1) von 1740 gegenüber, noch hörbar beeinflusst von Johann Sebastian Bach. Wer die Chronologie wieder in die richtige Reihenfolge bringt, findet jenseits von Markovinas Virtuosengedonner konsequente Entschnörkelung. Eine so spannende wie logische Entwicklung. Ganz dem musikalischen Ausdruck verschrieben zeigt sich die Pianistin Ana-Marija Markovina in der Haller Kunsthalle Würth. Sie spielt Werke von Carl Philipp Emanuel Bach und Modest Mussorgski. Mussorgskis „Bilder einer Ausstellung“ passen natürlich hervorragend in die Kunsthalle Würth. Deshalb sind sie am vergangenen Samstag nicht zum ersten Mal in der Klaviersommer-Reihe des Hohenloher Kultursommers zu hören, die regelmäßig in Hall zu Gast ist. Aber erstmals erklingen sie in der Kombination mit Klavierwerken Carl Philipp Emanuel Bachs. 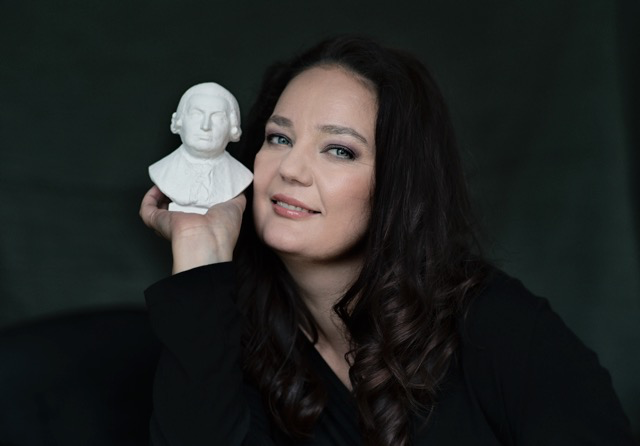 Ana-Marija Markovina hat das komplette Klavierwerk des Sohnes von Johann Sebastian Bach eingespielt. Das genügt der Pianistin aber nicht als Antwort auf die Frage nach der Kombination von Bach und Mussorgsky. Sie stellt ihrem Konzert ein Vorwort voran. So sehe sie die beiden Komponisten als Erneuerer ihrer Zeit, als radikal in der Umsetzung und als Psychologen. Den Klavierabend beginnt Ana-Marija Markovina mit einer Auswahl aus Bachs umfangreichem Klavieroeuvre, das auch Kompositionen für Cembalo oder Clavichord einschließt. An den Anfang hat sie ihr Lieblingswerk gestellt: die Fantasie in fis-Moll. Dabei gibt sie das durch zahllose Ausdruckswendungen bestimmte Werk sehr beredt wieder, fast als spreche jemand durch Gefühlsstimmungen. Ist hier ein Zug von Melancholie mit kurzen dramatischen Ausbrüchen vorherrschend, so kann man später eine aufgehellte, mit staccato gespielter Fragemotivik spielende Fassung der C-Dur-Fantasie erleben. Noch drastischer fällt der Kontrast zum Rondo in G-Dur nach der einleitenden Fantasie aus, das durch neckisch gewitzte Heiterkeit besticht. Zwischen den beiden Dur-Stücken bieten die zwölf Variationen über „Les folies d’Espagne“ verzierungsreiche Melodieumspielungen, perlende Läufe, kraftvolle Akkorddramatik, aber auch Momente des gesanglichen Einhaltens. 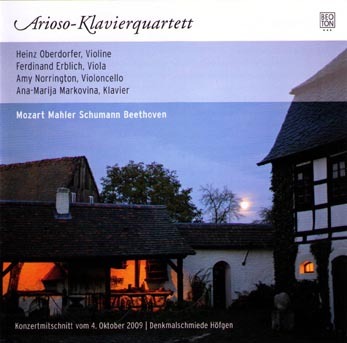 In der Sonate in a-Moll aus der Sammlung der „Württembergischen Sonaten“ unterstreicht Ana-Marija Markovina im Eingangssatz den barocken Gestus. Und nach sanftem Tastengesang im Mittelsatz folgt ein drängendes Finale mit geschärften Akzenten, aber auch tändelnden Dur-Wendungen. Die Interpretation von Mussorgskis „Bilder einer Ausstellung“ wirkt danach ruhelos. Ana-Marija Markovina scheint alles auf das Finale ausrichten zu wollen. Gelegentlich hätte sie sich mehr Zeit nehmen können, um Klangfarben auszukosten – wie bei „Il vecchio castello“. Der „Bydlo“ erscheint wunderbar ruhelos. Bemerkenswert ist auch der sehr freie Umgang mit dem Tempo, der zu Mussorgskis Zeit üblich war. Das zeigt sich vor allem im schön neckisch gespielten „Tuileries“-Stück des Klavierzyklus‘, aber auch in „La grande porte de Kiev“. Alles ist auf die beschließende Apotheose ausgerichtet, die aber mehr Offenheit als Schlusspunkt offenbart. Von den etwa 150 Zuhörern gibt’s begeisterten Beifall. Bei einem Klavierabend im Juli warb Ana Marija Markovina in Berlin (dazu auch der Bericht in operalounge.de), anschließend auch in anderen Städten für ihre gerade erschienene Gesamteinspielung der Klavierwerke von Carl Philipp Emanuel Bach für Solo-Klavier. Nun hält man also die gewichtige, 26 CDs enthaltende Box in Händen, und die beim Konzert geweckte Neugier kann befriedigt werden (Hänssler Classic CD 98.003). Die schlichte braune Schachtel erweist sich bei näherer Beschäftigung als wahre Wundertüte. Es ist nicht allein die schiere Überfülle der kaum zu zählenden Einzelwerke, mit wachsendem Respekt erkennt man auch bald die Dimension der editorischen, vor allem aber auch der künstlerischen Leistung Markovinas. Hier hat eine hoch begabte Pianistin „ihren“ Komponisten gefunden, und lässt uns an ihren Entdeckungen und ihrer Spielfreude teilhaben. Man meinte, die Zeit für solch enzyklopädische Veröffentlichungen wäre abgelaufen, unsere event-orientierte Zeit und Musikszene stünden einer derartigen Vertiefung im Wege. Großen Respekt also auch an das Label Hänssler für den Mut, eine solche Edition zu ermöglichen. Der Einsatz eines modernen Konzertflügels, in diesem Fall ein Bösendorfer, kommt unseren heutigen Hörgewohnheiten sehr entgegen, der vollere, räumlichere Klang ist in meinen Ohren auf Dauer angenehmer als ein Cembalo der Zeit. Was für eine Menge an musikalischen Einfällen wartet auf den Besitzer der Box: Sonaten, Menuette, Polonaisen, Solfeggios und Fantasien in Hülle und Fülle. Dazu ein erfreulich umfangreiches Booklet, das wichtige zusätzliche Informationen enthält. Sie können kommen, die langen Winterabende! Leidenschaft ist immer ein guter Antrieb für große Interpretationen. Die Pianistin Ana-Marija Markovina brennt für Carl Phillip Emanuel Bach und hat zu seinem 300. Geburtstag in diesem Jahr auf 26 CDs bei Hänssler sämtliche Klavierwerke eingespielt. Für diese Mammutaufgabe erhielt die gebürtige Kroatin zu Recht den „Preis der Deutschen Schallplattenkritik“. Bei ihrem Konzert in der Burg Bederkesa übertrug sie ihre Begeisterung auf die Hörer. ER ist heute ein bekannter Unbekannter, der zweite Sohn des Großen Johann Sebastian, dabei überflügelte „C.P.E.“ zu Lebzeiten den Ruhm seines Vaters, bereitete den Klangwelten Beethovens den Weg. ER war selbst ein virtuoser Pianist. Viele seiner Klavierwerke galten zu ihrer Zeit als fast unspielbar. Markovina tauchte zu Beginn mit der Fantasie fis-moll gleich voll in die Klangwelt Bachs ein: expressionistische Ausbrüche, spannungsreiche harmonische Wendungen und Emotionen, die miteinander zu ringen schienen. Aber Bach war auch Geschäftsmann genug, um die Verbreitung seiner Musik im Auge zu haben. So bildeten das lebenslustige Rondo G-Dur und die „Damensonate“ A-Dur einen guten Spagat zwischen virtuosen und melodiös eingängigen Passagen. Auch in den fulminanten dahin rauschenden Abschnitten spielte Markovina sehr pointiert und artikulierte die rasantesten Linien noch gestochen scharf und dynamisch nuanciert. In der ersten württembergischen Sonate a-moll zeigte sich Bachs Grundansatz in Perfektion. Der persönlich Ausdruck stand – trotz klarer musikalischer Strukturen- über allem. Die Solistin verlieh der Vielzahl an Ausdrücken- Zorn, Enttäuschung, Freude, Einsamkeit- immer wieder neue Farben. Dies war keine gefällige Musik, aber eine spannende Begegnung. Die zweite Konzerthälfte schloss Markovina mit zwei Werken von Fredéric Chopin ab. Dessen Klangsprache war eine ganz andere, der Brückenschlag aber gelang. Markovina ließ der Ballade g-moll op.23 ihrem hintergründigen Humor und leuchtete die Klangwelt des „Andante Spianato et Grande Polonaise Brillante“ op.22 bis in kleinste Facetten aus. Eine perlende Scarlatti-Zugabe beglückte das Publikum dann vollends. Unna. Erst nach zwei Zugaben war Schluss. Schade, man hätte ihr noch gern länger zugehört! Was Ana Marija Markovina am gestrigen Abend im 2. Meisterkonzert auf den Bösendorfer zauberte, war grandios und erhellend zugleich. „Ich fühle, also bin ich!“ So fasst Markovina Carl Philipp Emmanuel Bachs Selbstverständnis in Abwandlung des berühmten Satzes von Descartes´ zusammen. Was der zweite Bach-Sohn für die späteren Komponisten bedeutete, verdeutlicht Markovina nicht nur in ihrer informativen Einführung, sondern mehr noch in ihrem temperamentvollen, ja leidenschaftlichen Spiel. Fast romantisch muten die ersten zarten Klänge der Fantasie fis-mollWq 67 an, die sich zu einem facettenreichen Spiel entwickelt, in dem Markovina einen Komponisten porträtiert, der 300 Jahre nach seiner Geburt neu entdeckt wird – nicht zuletzt durch die pure Subjektivität dieser Pianistin, deren Gesamteinspielung der Klavierwerke Bachs begeisterte Resonanz hervorgerufen hat. Sie spielt eigenwillig raffiniert mit Rubati; Verzierungen ranken sich wie Arabesken um ein Thema oder rauschen wirbelnd hinab, extrem dynamische Kontraste stehen unvermittelt nebeneinander. Markovina brilliert mit farbenreichen Arpeggi wie mit zartester Lyrik, ob beim Rondo G-Dur, in der Damensonate A-Dur, den Variationen über Folie d´ Espagne oder der Württembergischen Sonate Nr.1, die Bachs kreatives Potenzial in faszinierender Bandbreite offenbaren. Bei aller sprühenden Virtuosität verleiht ihre Empathie der subjektiven Gestaltung höchste Authentizität! Bachs c-moll-Fantasie Wq 63,6 und c-moll-Sonate Wq 65,31 bestätigen das Empfundene nicht nur, sondern sind bewusst gewählte „Vorläufer“ der Ballade g-moll op. 23 wie dem Andante spianato et Grande Polonaise brillante op. 22. von Chopin. Dessen Balladenbeginn und der von Bachs Fantasie sind nahezu identisch, die chromatischen Verzierungen Chopins erhalten plötzlich Wurzeln, die farbenfrohen Arpeggi und vollgriffigen Oktavwirbel vollenden Bachs Eigenwilligkeiten mit höchster Raffinesse und malen in der Polonaise einen rauschenden Ball mit schwingenden Roben und blitzenden Diademen – mit Herz gespielt bis in die atemraubenden Zugaben von Scarlatti und Mozart, die Bachs Einfluss ebenso wenig verleugnen können. Verdienter, anhaltender Applaus für einen erhellenden Abend! Das Gedenkfeiern seines 300. Geburtstags hat ihn auf besonderen Solistenwunsch in die sonst ganz auf die großen In-aller-Munde-Komponisten abonnierte „Wiener Klassik“-Reihe katapultiert: Carl Philipp Emanuel Bach (1714-1788) galt den Zeitgenossen als „Originalgenie“ jener Aufbruchszeit zwischen Barock und Klassik, wo er im Zeichen der Empfindsamkeit und des „Sturm und Drang“ eine ganz eigene, kühn subjektive Musiksprache entwickelte. Auch Pianistin Ana-Marija Markovina (zuletzt mit dem Grieg-Konzert in der beliebten Oetkerhallen-Reihe) schlägt gern unkonventionelle unerschlossene Repertoire-Wege ein. So hat sie im Frühjahr hoch gelobt die erste Gesamteinspielung aller Solo-Klavier- werke des Jubilars, 33 Stunden auf 26 CDs, vorlegt. Unter den gut 50 Beiträgen zur von Papa Johann Sebastian erst erfundenen Gattung Klavierkonzert ist das hier präsentierte d-Moll-Konzert Wq 23 von 1748 ein Paradebeispiel für das Exaltierte, Bizarre seines Stils. Wo es in den Ecksätzen mit beispiello- sen sprunghaft-kurzgliedrigen Kontrasten und jähen Umschwüngen stürmt und drängt, merkt man dieser „wissenden“ Interpretin eine Lust am Unkalkulierbaren, zuweilen auch etwas Spontan- Unbekümmertes an, während das Orchester (wie gleich im tollkühnen Eingangs-Aufriss) affektblitzend dagegenhält. Der Gesangssatz beeindruckte als intensiv umflorte Klangrede; das abrupt-beiläufige Ende der finalen fast Zufalls-Treffs an Themengestalten entließ verblüffte Hörer aus einer fesselnden Begegnung mit dem Bach- Sohn. Demgegenüber atmete Mozarts Klavierkonzert Nr. 12 in A-Dur KV 414, sein erstes als hoffnungsfroher freier Künstler in Wien, vitalen klassischen Musiziergeist, hier getragen von schönster sanglich-klanglicher Harmonie und Ausgewogenheit zwischen Solistin und Orchester. Ana-Marija Markovinas Mozart-Spiel wirkt kongenial selbstbewusst, ist von kraftvoller Schönheit, dennoch höchst flexibel, nuanciert und elegant phrasiert. Die ausladende Kadenz offenbarte Bravour, das herrliche Andante teilte sich tief empfunden mit. Drei nachdrücklich er- und beklatschte Zugaben, Sonaten-Sätze von C.Ph.E.Bach, Scarlatti und Mozart, unterstrichen das Bild einer musikalisch generösen beschlagenen Künstlernatur. Die langjährige intensive Beschäftigung Ana-Marija Markovinas mit dem Klavierwerk Carl Philipp Emanuel Bachs mündete nicht nur in einer hoch gelobten Gesamteinspielung des Klavierwerks des bedeutenden Sohns von Johann Sebastian Bach, sondern sie trug auch in der gut besuchten Karlsruher Stadthalle Früchte. Hier stellte die Pianistin in der Reihe „Wiener Klassik“ das d-Moll-Konzert Bachs Wq 23, einen seiner insgesamt 53 Beiträge zu der Gattung, dem A-Dur-Konzert KV 414 Wolfgang Amadeus Mozarts gegenüber. Und bei dem mit vielen überraschenden Wendungen aufwartenden d-Moll-Konzert zeigte sie nicht nur ausgefeilte Pianistik, aufmerksam von Heribert Beissel und der Klassische Philharmonie Bonn begleitet, sondern viel Sinn für die Feinheiten der Musik des Bach-Sohns, der vor 300 Jahren geboren wurde. Dem sprunghaft wirkenden Werk, bei dem sich stilistisch Elemente von Barock und beginnender Klassik zu einem ganz eigenen Stil mischen, blieb sie kein fein ausgehörtes Detail schuldig. Ihre Nähe zu dieser oft verkannten Musik unterstrich sie bei einem zugegebenen Rondo Carl Philipp Emanuel Bachs. Farbigkeit des Spiels, überzeugende Phrasierung, ein auch im Piano stets abgerundeter Ton, eine gelungene Balance von Emotionen und Formgefühl prägte ihr Spiel auch bei Mozart. Ohne sentimental zu werden, gelang ihr der Ausgleich zwischen emotionalem Tiefgang und glitzernder Brillanz. Das 1782 entstandene Konzert stellt zudem eine Hommage an einen anderen Bach- Sohn, Johann Christian, dem „englischen“ Bach, dar, der am 1. Januar 1782 gestorben war. Das Hauptthema des langsamen Satzes des A-Dur-Konzertes ist dessen Oper „La calamita die couri“ entlehnt. Zum Auftakt im sehr gut besuchten Brahmssaal hatten die jungen Musiker der Klassischen Philharmonie Bonn Georg Friedrich Händels Concerto grosso G-Dur op. 6,1 in einen dichten, etwas schwerfällig-plüschigen Streichersound getaucht, wie man ihn aus den 1960er Jahren kannte. In der Stadt der Händel-Festspiele wirkte dies doch recht anachronistisch. Mit der abschließenden Sinfonie Nr. 29 A-Dur KV 201 Mozarts boten Beissel und sein Orchester einen fulminanten Abschluss. Mit Schwung, ansprechendem Charme und vielen feinen instrumentalen Details musizierte Beissel die in Salzburg entstandene Sinfonie, deren rasant genommenes Finale der Klassischen Philharmonie Bonn Gelegenheit bot, ihre orchestrale Virtuosität zu demonstrieren. So sehen Heribert Beissels Verwöhnungen aus. Dann stehen nämlich – wie jetzt im zweiten Konzert seiner Wiener-Klassik-Reihe in der Beethovenhalle – nicht nur gleich zwei Klavierkonzerte im Programm, er bringt auch noch eine offenbar völlig ermüdungsfreie Pianistin mit, die nach jedem auch noch eine üppige Zugabe im Gepäck hat. Was natürlich den Dirigenten Beissel selbst auch dabei ein bisschen verwöhnt – mit zwei Pausen zusätzlich. Aber er hat sie sich auch verdient mit seinem Musikangebot, in welchem er einfallsreich das Schöne mit dem Interessanten und Seltenen verbunden hat. Für das Seltene war dabei vor allem auch seine Pianistin Ana-Marja Markovina zuständig. Sie hat sich mit Carl Philipp Emanuel Bach gerüstet, dem zweiten Bach-Sohn, der am Preußenhof in Berlin und danach in Hamburg den Ruf des fast schon vergessenen Vaters in den Schatten stellte. Für Ana-Marja Markovina und Beissel war das 300. Geburtsjahr von Carl Philipp Emanuel der Anlass, den dieser eigentlich nicht wirklich bräuchte. Höchstens das Publikum, das wenig Gelegenheit findet, sie kennenzulernen. Seine Sonaten haben den Weg für das Jahrhundert des Klaviers freigeschaufelt, sie sind oft schwierig, greifen weit aus und geben dem Spieler was zu tun, aber begründeten vor allem auch das Format. Die äußerst tüchtige Pianistin – sie hat, russische Schule, auf 26 CDs das gesamte Klavierwerk aufgenommen – spielt das erfolgreich in aller Welt. Und überdies hat sie mit dem d-Moll-Konzert Wq 23 das vielleicht bekannteste Konzert mit Beissels Philharmonikern aufgeführt, aus deren Reihen schon der schöne Anfang kam, Händels Concerto grosso op.6, 1 mit sehr schönen Solostreichern. Beim Bachsohn hat Markovina über die Brillanz noch das Melodische auf den Weg gebracht, das mit ihm Einzug hielt. Mit dem zweiten Klavierkonzert im Programm, Mozarts KV 414 in A-Dur, keins der ganz Großen, hat man es leichter gehabt, auch was die Vertrautheit angeht. Wie viel mehr dann mit der ersten richtig bedeutenden Sinfonie in A-Dur. Beissels Zuhörer zeigten sich in der gut besuchten Beethovenhalle begeistert. Ob da wohl manche aufgeatmet haben, als Dirigent Heribert Beissel beim zweiten Saisonkonzert der „Wiener Klassik“ in Wiesbaden die Zugabe des Dänen Carl Nielsen ankündigte? „Er ist schon tot, das ist keine moderne Musik!“, beruhigte Beissel. Und wenn? Wenn alles, was „modern“ ist oder je war, nicht aufgeführt würde? Dann hätte das Publikum im Kurhaus auf das spannende Konzert für Klavier und Streicher Wq 23 von Carl Philipp Emanuel Bach verzichten müssen. Denn das Werk des bekanntesten, 1714 geborenen Sohns von Johann Sebastian Bach hat seinerzeit mit ziemlich allen bis dahin vertrauten Regeln gebrochen. Ana-Marija Markovina war die Pianistin, die nach Carl Philipp Emanuel Bachs Klavierkonzert gleich noch eine seiner Solo-Fantasien zugab, „verrückte“ Musik „ohne Taktstriche“, wie die 41-jährige kroatische Pianistin sagte. Sie, die unlängst ihre Gesamteinspielung aller Klavierwerke des Bach-Sohns abgeschlossen hat, spielte das Klavierkonzert in all seinen Stimmungsbrüchen, rhythmischen Ecken und harmonischen Kanten mit viel Lust am Wagnis. Oberflächlich abgestimmt Schade, dass die Klassische Philharmonie Bonn ihren hier durchaus werkgerechten, immer zügigen, unkonventionellen Ansatz nicht recht teilen mochte: Beissel und sein Orchester folgten akkurat, aber manchmal bremsend und ohne adäquates Stürmen und Drängen. Bereits zuvor, in Händels Concerto grosso G-Dur op. 6/1 hatte Beissel nicht nur auf das unverzichtbare Cembalo verzichtet, sondern auch auf eine Deutung, die mehr als einen Pflicht- oder Einspielcharakter vermittelt hätte. Nur oberflächlich abgestimmt wirkte das Spiel zwischen Solistin und Orchester in Mozarts Konzert für Klavier und Orchester Nr. 12 A-Dur KV 414. Im dialogischen Detail nämlich gab es immer wieder Ungereimtheiten, etwa wenn Markovina eine Phrase anschwellen ließ, das Orchester sie dagegen bei der Tutti-Antwort gleichförmig wiederholte. Forsch ging es hier am ehesten noch in Markovinas zweiter Zugabe zur Sache, bevor die Klassische Philharmonie Mozarts Sinfonie Nr. 29 A-Dur KV 201 ebenmäßig, hell, präzise und endlich auf ihrer gewohnten Höhe aufführte. Überall ist er zu spüren, in dieser Jugendstil-Villa im Kölner Norden: der Atem einer Zeit, die vergangen scheint und hier doch zugleich präsent und lebendig ist – ob nun an der Hausfront, im Foyer oder im Wohnzimmer. Anfang des 20. Jahrhunderts entwarf der Großvater ihres Mannes das Haus, heute lebt Ana-Marija Markovina hier mit ihrer Familie. Und übt: Meist am Steinway vor dem Fenster zum Garten, an dem daneben stehenden Ibach-Klavier trällert gelegentlich ihre kleine Tochter. Dabei sei „Musikmachen eigentlich ein einziger Anachronismus“, behauptet die Pianistin. Ein Satz, der in solch einer Umgebung naturgemäß eine ganz eigene Bedeutung gewinnt, doch Ana-Marija Markovina zielt auf seine generelle Aussage: „Der Kontrollwahn unserer Zeit passt nicht gut zum Musizieren.“ Musik brauche Freiheit, die Lust am Unkalkulierbaren, das Wagnis. Stattdessen würden Karrieren heute minutiös geplant, von Agenten kalkuliert, und technische Vollkommenheit werde zum Ideal erhoben. Ana-Marija Markovina ist ein hellwacher Geist, rasch in ihren Gedanken, einleuchtend in den Argumenten und erfrischend skeptisch gegenüber allem, was mit Vermarktung und Events zusammenhängt. Aufgewachsen in Wanne-Eickel, studierte Markovina später in Detmold, Weimar und Berlin und fraß sich in dieser Zeit nicht zuletzt lesend durch die Welt- und Kulturgeschichte. Daher auch ihre Neigung, Psychologie und Kunst zu verbinden: „Der Mensch hinter der Musik ist für mich immer ein Vorbild. Alle großen Komponisten haben ein hohes Maß an Disziplin aufgebracht und gleichzeitig in ihrer Fantasie alle Genialität ausgelebt.“ Verstand und Gefühl als ein Prozess, die Psychologie als Entlastung der Seele, die Lust am Wissen: Bei der Kroatin hängt das Musiker-Sein unabdingbar zusammen mit dem Blick über den Tellerrand hinaus. Denn jedes Stück habe etwas Besonderes, etwas Rätselvolles. „Jeder Sechzehntellauf ist zugleich eine verborgene Melodie. Wenn man das auch so zu spielen versucht, bekommt die Musik automatisch eine ganz andere Struktur. Dieser Bach ist nicht klassisch, er ist romantisch, auch wenn es klassische Elemente in seiner Musik gibt.“ Man merkt Markovina an, wie sehr sie für „ihren“ C. P. E. Bach brennt und wie dankbar sie ist, dieses Projekt realisiert haben zu können. „Ich bin an dieser Aufgabe enorm gewachsen. Es war wie ein Reset: Ungewollt zog mein ganzes Leben in dieser Zeit an mir vorüber.“ Die Vergangenheit kann eben nicht nur in der Architektur sehr gegenwärtig sein. Anybody who knows something of the history of classical music ancient-to-modern probably is familiar with the fact that composer Carl Philipp Emanuel Bach (1714-1788) was in his lifetime considerably more famous than his father Johann Sebastian Bach. Nowadays of course that is the reverse case. But then Johann was considered somewhat „old hat“ while CPE was au courant, a central figure in rococo-to-classical period music, a hero of the modern world of music at that time.If later reception history has not favored CPE as much as Johann, it doesn’t mean that CPE was not highly influential and it does not mean his music can not speak to us today. If it were not so, why would anyone produce a monumental project that is now complete and ready for our ears? I speak of the 26-CD (!) set of CPE’s Complete Works for Piano Solo(Hanssler Classic) as played by pianist Ana-Marija Markovina. Now mind you, I have not listened to all 26 volumes. But I know already a fair amount of the music and I have listened closely to the sampler. And from that I hear some gloriously expressive piano performances of some wonderful music. Ms. Markovina gives the music the loving attention it deserves. She brings out the proto-romanticism, the high expressions of CPE, something that both Mozart and Beethoven learned much from. Like Haydn in his „sturm und drang“ and last periods, there is music here that prefigures what is to come, a depth of feeling and a sometimes heroic lyrical strength that was not the norm of the era, certainly. What followed he had something important to do with, as you hear in concentrated form in the piano works. Perhaps most importantly this is wonderful music from a major composer of the era, now finally getting his due. Based on what I hear in the sampler the full set should be a revelation, a must for all thorough connoisseurs of the era and what followed. We perhaps now have even more evidence why his music was so well-appreciated in his day, though of course nothing will take away the exceptional excellence and our present-day appreciation for his father. The son was glorious in his own way. This set promises to set things straight in terms of his pianistic output. An exceptional project with, I have every reason to believe, an exceptional result! Un monument ! À la gloire de celui qui consacra une grande partie de son œuvre au clavier : Carl Philipp Emanuel Bach. Hänssler nous gratifie d’un coffret de 26 CD regroupant cette somme inédite. Très jeune, Carl, deuxième fils de Jean Sebastien, fit preuve d’une très grande habileté sur les instruments à clavier. Ses œuvres sont écrites pour le clavecin mais aussi pour les premiers pianoforte. Il fut l’auteur d’un des grands traités sur les méthodes de jeu au clavier, publié en 1753. S’il est le digne successeur de son père dans sa manière instinctive d’aborder le clavier. Carl Philipp fut surtout un grand visionnaire de la forme, justement salué par les critiques : Burney : « c’est le seul des musiciens avec Benda à avoir son syle propre, les autres sont des imitateurs » sans oublier les plus grands compositeurs du classicisme à venir : Haydn « Ceux qui me connaissent bien savent ce que je dois à Emanuel Bach », Mozart : « Il est le père, nous sommes les enfants ». Ils voient en lui un véritable maître dont il se sentent redevables. Carl Philipp Emanuel renouvelle la forme sonate en ajoutant un second thème au premier mouvement, ce qui lui permet de les opposer ou de les combiner, concluant avec une coda récapitulative. On trouve donc dans les quelques recueils de sonates présents dans le coffret une structure inchangée : un premier mouvement allant et rythmique suivi d’un mouvement lent d’allure mélodique et enfin, un final basé sur une danse rapide et qui sera développé plus tard en rondo. Si cette prédilection pour le squelette musical comme disait Antoine Goléa (en réduisant ces œuvres à une armature désincarnée), est patente dans les recueils principaux (Sonates Prussiennes et de Wuttenberg 1742 – 1744), l’imagination musicale de Carl Philipp Emmanuel n’est jamais prise en défaut jusque dans les pièces purement didactiques. Héritée du Stylus Phantasticus, la forme libre est prétexte à fantaisies, variations. Le contrepoint n’est jamais loin mais n’est pas prioritaire comme chez Wilhem Friedemann. Surtout l’improvisation est reine et sans limite. Dans son déploiement, elle se charge d’une tonalité intime. Bach se livre à nu à travers sa musique, son quotidien, ses doutes, ses joies, ses désirs. Une large palette d’émotions traverse ces pages pleines de surprises et de digressions. La musique selon Carl Philipp Emanuel doit toucher le cœur, affecter les sentiments. Marquages dynamiques, harmonie chantournée, mélodies malmenées, rythmes souvent rompus par des silences interloqués. C’est une apothéose sonore dont le flux nous emporte au fil des notes. 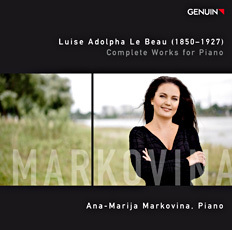 Dans ce somptueux coffret, Anna Marija Markovina interprète notamment l’intégrale en sept CD du fameux Vollständige sammlung aller ungedrunkten claviersonaten Wq 65. Ainsi que le recueil Wq 62 (en 3 CD) des leçons pour connaisseurs et amateurs encore sous forme de sonates aux mouvements brefs et percutants. Un ensemble de pièces variées : fantaisies, rondos, menuets; suites, sonatines, concertos ou symphonies dans leur version pour clavier seul, complètent ce très riche panorama clavieristique. Après les belles réalisations d’Andreas Staier et de Bob Van Asperen au clavecin, la pianiste croate renouvelle l’interprétation de l’oeuvre de Carl Philipp Emanuel Bach. Par le choix singulier d’un piano Bösenforfer Impérial, justifié par l’interprète, qui apporte à cette musique les lumières de l’Empfinsamkeitstil. Fleurant les fragrances d’un classicisme superbe et hautain ici nullement hors sujet ni dérangeant. Par la finesse du toucher de la pianiste qui exploite toutes les ressources du grand piano, subtilités des timbres combinant basses veloutées et suraigüs exquis. Le registre médium, le plus utilisé, exaltant à la fois la douceur couvrante de la laine mohair et et l’éclat du platine. Markovina est une adepte de la ligne claire, son dessin de la main droite est net, précis, détouré ; de la main gauche elle grise (avec la sourdine) et noircit à l’envie pour marquer les ombres. Ni ornement baroque, ni galanterie. Ni retouches, ni rehauts. Peu de pédale. Elle fait sonner Bach comme du Haydn, laissant transparaitre dans le galbe de son jeu, une tendesse avérée et une joie diffuse. Ecoutez avant tout la fameuse et très mozartienne fantaisie (fort commentée par ses contemporains) qui clôt la sonate en fa mineur Wq 63 : pure rhétorique musicale jouée avec une contention et une profondeur absolues. Chaque disque est une mine de découverte et un vraie jouissance de mélomane. En un mot : Herrlich ! C. P. E. Bach turns three hundred this year, and Hänssler Classic’s 26-CD survey devoted to the composer’s complete solo keyboard works stands out on many levels. It is as complete as humanly possible, encompassing published and unpublished works alike. And whereas the BIS and Brilliant Classics C.P.E. Bach keyboard cycles feature a wide array of period instruments, Ana-Marija Markovina plays everything on a concert grand piano. It could be said that the composer’s penchant for ornamentation in the form of embellishments and cadenzas is rooted in the ornate tradition of the clavichord and harpsichord. On the other hand, the piano arguably offers greater ease and immediacy in shaping Bach’s rapid virtuosic passages and pronounced dynamic contrasts. This particularly holds true in Markovina’s interpretations, abetted by the use of a Bösendorfer grand piano whose timbral distinctions in different registers mirror the best preserved fortepianos, not to mention a close-up yet warm and robust recorded ambience that is appropriate to Bach’s intimate, finely honed yet harmonically volatile keyboard writing. Although the first twenty discs are not programmed chronologically, each CD includes a complete group of works (sonatas, short pieces, etc.) or the start of a group that continues in sequence over the next disc or two. Discs 20-26 contain all of Bach’s unpublished piano sonatas. My only quibble is that Hänssler didn’t provide a cross-indexed table of contents to facilitate locating a specific work. Markovina’s fusion of stylish poise and emotional intensity becomes all the more evident with comparative listening. Take, for example, Danny Driver’s Hyperion recording of the unpublished G minor Sonata Wq 65, 17. He rounds off the Allegro assai’s angular unison melodies gracefully and similarly tapers the cross-rhythmic broken chords. Then there’s Mikhail Pletnev’s clipped articulation and mannered sectionalization of the music’s thematic contrasts. 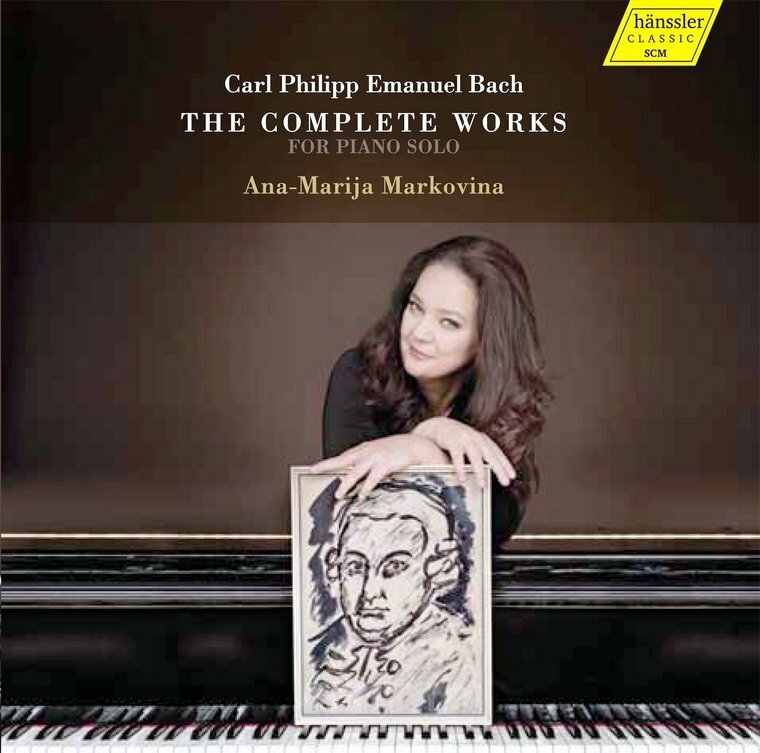 However, Markovina’s phrasing underlines the harmonic tension, while her incisive, seemingly abrupt accents sharpen the music’s inherent dramatic profile and heighten the impact of Bach’s unpredictable silences. In the wonderfully quirky D minor Rondo Wq 61, 4, Pletnev’s meticulously worked-out pianism pays ravishing dividends in and of itself. If less flashy on the surface, Markovina’s interpretation reveals more carefully differentiated legato and detached articulation and just as much nuance as Pletnev. Compared with Glenn Gould’s lean, motoric reading, Markovina brings comparable drive yet a more fluid and flexible expressive palette to the A minor „WuÌˆrttembergische“ Sonata Wq 49, 1 finale. As a result, you readily hear how the work foreshadows the first movement of Mozart’s K. 310 Sonata first movement in the same key. At places where the composer places pauses to indicate cadenzas, Markovina mostly uses those of composer and scholar Federico Biscione. What is more, the pianist extends equal care and consideration to smaller works such as variation sets and dances; even the slight and easily sight-readable E-flat Polonaise Wq 116, 2 conveys genuine pomp and gravitas.Needless to say, Markovina’s comprehensive and caring advocacy for this capricious, inventive and endlessly fascinating keyboard music adds up to a major catalog contribution and a reference C.P.E. Bach cycle that is not likely to be surpassed for years to come. This 26-CD set containing CPE Bach’s complete solo piano works represents a landmark of the highest importance and, more significantly, listening pleasure. 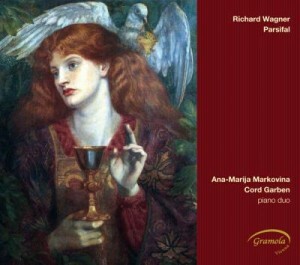 Ana-Marija Markovina has made a specialty of playing these works. She previously recorded the Prussian and Württemburg sonatas (for Genuin), but it is difficult to overstate the richness and variety found on these discs, or Markovina’s consistent success in rendering it all with such freshness, excitement, intensity, and charm. CPE Bach’s keyboard output consists primarily of sonatas, dozens of them, ranging over the entire course of his career, roughly from the 1740s through the 1780s. Most are three-movement pieces in fast-slow-fast form, but there are also rondos, fantasias, variations, character pieces, teaching pieces, arrangements of concertos and other orchestral works, dances, and everything from the very simple to the exceptionally complex, both technically and expressively—an entire world. More astonishingly, the quality of this music is almost uniformly high. Bach was a true craftsman, and while everyone will have their favorite works–and it’s pointless to say that it’s all equally good–you can sample just about anything on any of these discs and you will find plenty to enjoy and captivate your attention. Markovina plays this music on the modern piano, the instrument that comes closest to any available in Bach’s day to realizing his clearly notated intentions. For example, he almost always asks for a full range of dynamics, from pp to ff, and his writings make clear that he valued above all a beautifully sustained, singing tone. The clavichord offered him the most possibilities in this regard at the start of his career, while in his last years his clear preference was for the piano (even though he had expressed reservations about early versions of the instrument in his 1750s Essay on the True Art of Playing the Keyboard). 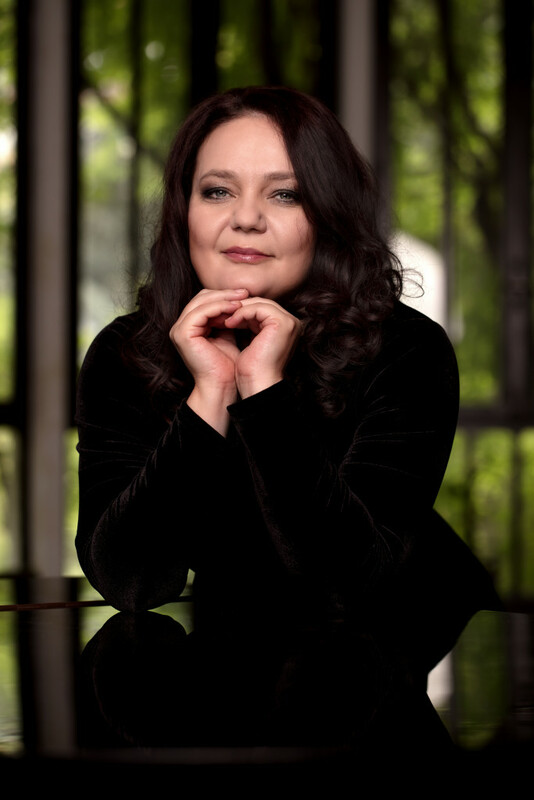 Markovina exploits the piano’s full dynamic range, as well as its ability to vary articulation, sustain the melodic line, and add muscle to Bach’s emphatic and often syncopated rhythmic schemes. In this respect she is far bolder than, say, Danny Driver’s genteel, almost effeminate CPE Bach recordings on Hyperion. However, the most telling comparison has to be made with Miklós Spányi’s ongoing series of the complete keyboard works for BIS. Spányi uses period instruments, which have some advantages (the clavichord’s vibrato, for example), but also all of their inadequacies, including a lack of sustaining power and often a great deal of mechanical noise. On the piano, Bach’s music sounds modern; on early instruments, it sounds old. This contrast is exacerbated by Spányi’s inability to play a true allegro at speed. Consider, for example, the marvelous Sonata in B minor Wq. 65/13, which dates from the 1740s. The finale is marked “Allegro molto”. Spányi takes about six minutes (on the clavichord), Markovina slightly more than three. The difference in both sonority and expressive intensity is shocking, with Markovina infinitely more powerful and exciting. CPE Bach’s modern reputation rests largely on his music in the “empfindsamer Stil”, with its highly expressive, emotionally eruptive, and constantly surprising writing; but a little-known aspect of this style was also the attempt to imbue music with a genuine sense of humor. Haydn, for example, learned a great deal from Bach’s pregnant use of silence. So rather than offer the usual examples of minor-key pathos, I offer as a listening sample the start of “L’Aly Rupalich”, a character piece also provisionally entitled “La Bach”, and possibly intended as a self-portrait of the composer. CPE Bach scholar Paul Corneilson describes the work as “a disco piece”, and how right he is (sound clip). Corneilson is also the Managing Editor of the Packard Humanities Institute’s ongoing CPE Bach Complete Edition, and it is largely thanks to that organization that this set of recordings has been made possible. CPE Bach fans, then, should be delighted to know that Corneilson has assembled an absolutely splendid volume of scores under the title The Essential C.P.E. Bach, containing 25 “greatest hits” from the composer’s keyboard, chamber, orchestral, and vocal music. Retailing for only $50, this beautifully printed, 350-page volume also contains excellent introductions to the composer as well as all of the music contained therein, a bibliography, a select discography, and a concordance that helps to locate each work by Wotquenne and Helm numbers.